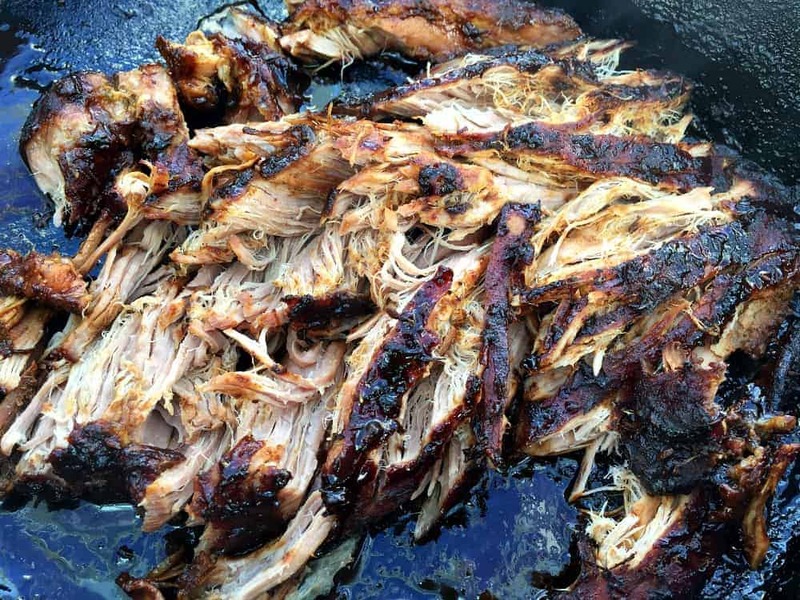 While I’m a big fan of pulled pork it can be a bit heavy and fatty in the summer, and a big joint of meat can be expensive. 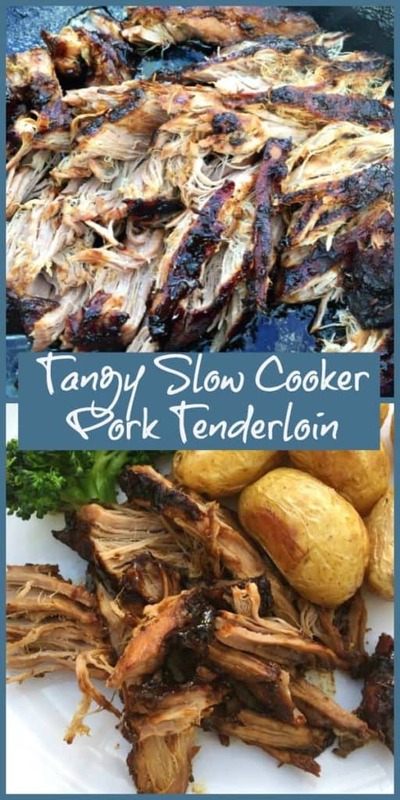 My tangy slow cooker pork fillet is the perfect recipe to combat both of these problems, the meat is low in fat and pork fillets are quite cheap making this a frugal dish too! Cook your pork fillet in this delicious sauce, it will be tender and easy to shred once cooked in the slow cooker. I like to finish this dish off in the oven so that you have those crispy chargrilled edges and the thickened sauce, mmmm! Then you have a whole lot of ways you can serve this up, perhaps shredded in wraps with salad, or on top of a bed of salad with crusty bread on the side, or even as part of a roast dinner with roasted baby potatoes and vegetables. The options are endless! There are loads of ways to use up any leftovers too, I like the pork cold with a rice salad with peas and spring onions, or you can shred it and top a pizza with it, or stuff it in a pitta with some hummus. In the summer it is great to use your slow cooker so you aren’t heating up the kitchen, and side dishes are usually so easy to put together making this an easy summer meal which is really adaptable. The sauce is tangy with its mixture of balsamic vinegar, Worcestershire sauce (that British store cupboard staple!) and mustard, and is just made with store cupboard ingredients. Use honey if you have no maple syrup and vary the herbs as needed. I find it sets off the meat just right, and once baked off it makes a tasty dark crust to the meat, yum! 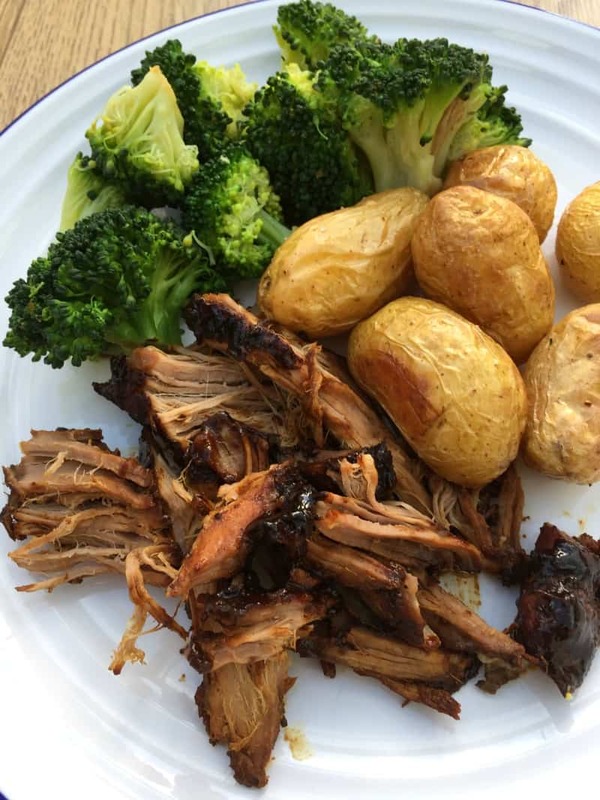 Served here as part of a healthier summer Sunday roast, this tangy slow cooker pork fillet recipe is so flexible that I make it all the time! Subscribe to my posts by email so you don’t miss a recipe. I’m also on YouTube! Combine the sauce ingredients in a bowl (don't include the water), rub over the meat. Place the pork fillet in the slow cooker, pour the water around the meat. Cook on low for 8 hours. At the end, transfer the pork fillet to an oven tray and bake for 15 mins in the oven (at 200 degrees C) to crisp it up. I always think of slow cookers being best for Winter meals, but you are so right, using it in the Summer stops you from getting your kitchen too hot; I need to start using mine more often! I really need to use my slow cooker more. I have only used it a handful of times! My Dad would love this recipe.